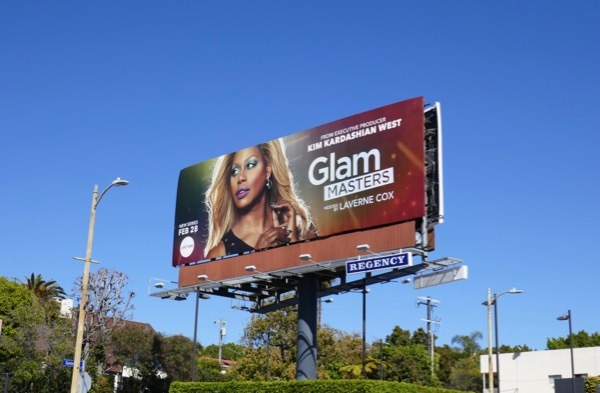 Lifetime's Glam Masters is the new beauty competition hosted by Laverne Cox which pits beauty bloggers in a battle of makeup brushes and contour kits to find out if they have the talent to make it as the next big thing in the beauty industry. 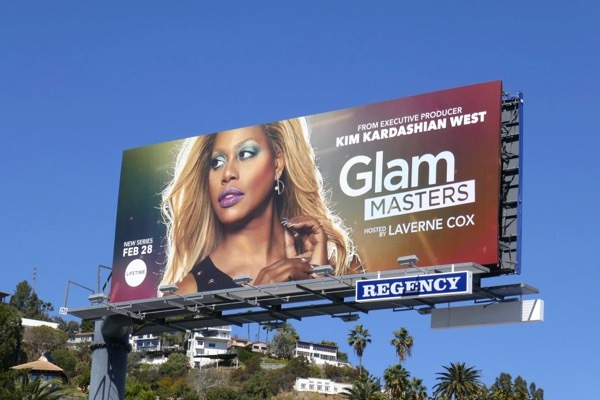 Each week over the course of eight episodes contestants will try and impress Kim Kardashian West's makeup artist Mario Dedivanovic, YouTube makeup celebrity Kandee Johnson and Marie Claire's Senior Fashion Editor, Zanna Roberts Rossi. 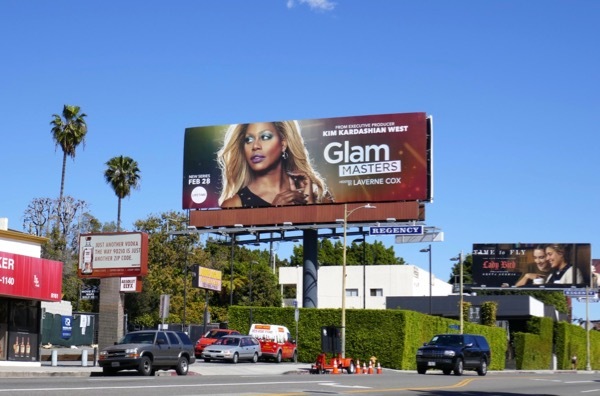 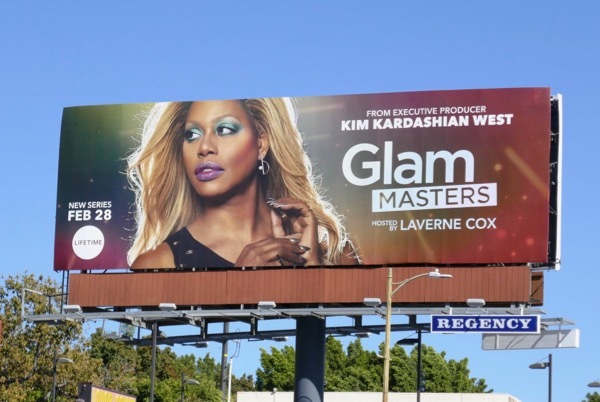 These series launch billboards for Glam Masters were snapped along Sunset Boulevard and San Vicente Boulevard from March 1 to March 5, 2018. 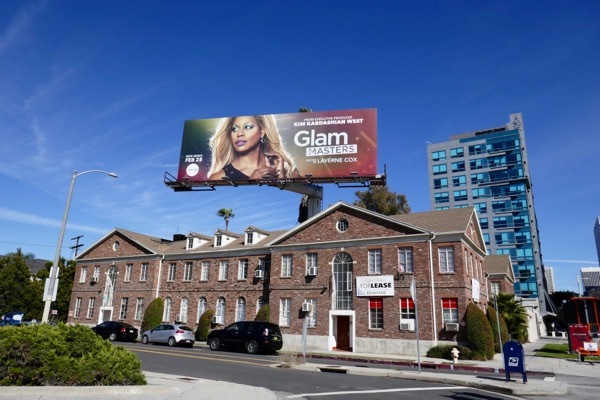 Fans of the glamorous transgender actress can also enjoy these billboards for The Rocky Horror Picture Show TV remake, these Doubt TV billboards and these Orange is the New Black billboards. 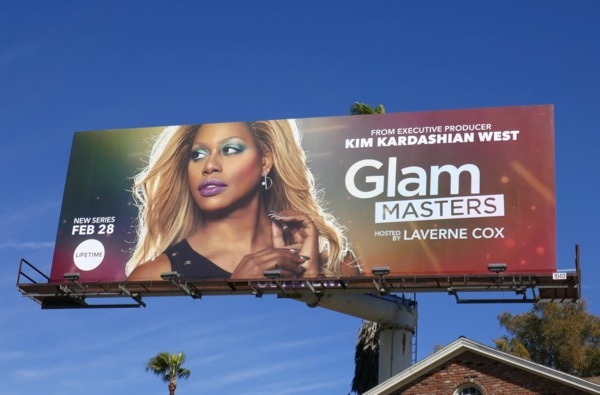 You'll have to continue watching to discover who will emerge as the newest Glam Master on the block when the eyeliner, lipstick and concealer stops flying, but let's hope they're wearing their best waterproof mascara when they find out.